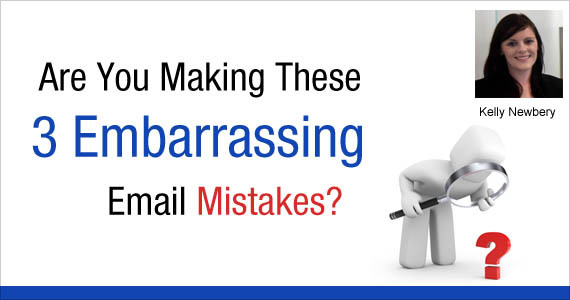 Are You Making These 3 Embarrassing Email Mistakes? How has your email marketing been performing recently? Are you kicking goals, getting conversions and increasing revenue? Or are you like a lot of other people out there and your email marketing is going okay? Just okay. Nothing spectacular. If this sounds like you, you’re probably making one of these common email marketing mistakes. But don’t worry, you can turn your email marketing around with these simple fixes. This happens when you try to cram stacks of content into your email and, sadly, it makes a lot of people tune out before they even start reading. You could have a lot of news you’d like to include, but the reality is most people don’t like reading lengthy emails. In fact, according to MarketingSherpa, on average readers spend only 15-20 seconds reading marketing emails. First and foremost, ask yourself: Is the content you’re including engaging and relevant for your customers? If it’s not, be brutal with your editing and cut your email back to include only the most compelling content. But on the other hand, if you do have lots of good quality content, certainly don’t get rid of it! Consider splitting it across several emails. For example in addition to your weekly newsletter, you could have a separate product announcement, an event invitation or an email dedicated to your latest blog posts. By doing this you’ll be less likely to overload your customers with too much information in the one email. It also means that you’ll have more opportunities to convert your customers because you’ll be sending email more often. Are your emails jam-packed with information about all your great products and their amazing features? Or full of company milestones and achievements? Well I hate to be the one to break it to you, but your customers probably don’t care. They care about what’s in it for them. And how you’ll solve their problems. One way to tackle this problem is to switch your focus. Instead of talking about your company, zoom in on your customers. How will your products benefit them? Acknowledge their pain point and demonstrate how your products will solve their problems. For example, your customer might not care that your shoe inserts are made from 3M thinsulate plastic gel with 1.6M cushioning (feature), but they WILL care that your inserts make high heels comfortable so they can look and feel great in heels all day and night (benefit). Do you want your readers to download your latest e-guide, sign up for a free webinar, subscribe to your blog, send your newsletter to their friends and share it on Facebook? Just reading all of that is exhausting, let alone acting out each individual call to action (CTA). You’re asking your readers to do too much. Think of it like this: If you put too many different calls to action in your email, your reader will get confused or overwhelmed and most likely freeze and do nothing at all, almost like a deer caught in the headlights. Don’t be afraid to tell your customers exactly what you want them to do, but whenever possible limit it to just one primary CTA per email. And then make your CTA obvious, prominent and clear. Test different types of CTAs, such as text links, buttons or images, and find out what works best for your customer (in many cases it’s a combination of all three types). So there you have it, three of the most common mistakes email marketers make and how to fix them. Have I missed any? 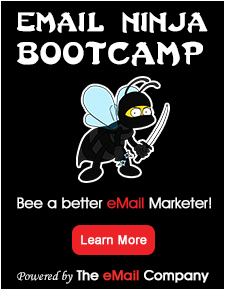 I’d love to know what you think the worst email marketing mistake is? Let me know in the comments box below. Takeaway: Remember to make your emails all about your customers and their needs or problems. Don’t overload your readers with too much content or too many calls to action. Use these tips to turn your email marketing from so-so to spectacular.